En examinant ainsi l'ur texte pour le roman de chaque auteur, il apparaît que Sukenick et Frey choisissent de NE PAS fictionnaliser les événements du 11 septembre, suffisamment spectaculaires en eux-mêmes pour ne pas nécessiter d’habillage. Les deux auteurs se servent de leur expérience de ces événements de la même manière, les déplacant vers une structure fictionnelle, l'expérience devenant celle d'un personnage de fiction et ayant un impact sur l'intrigue du roman. Dans chacun des deux romans, l'impact physique et émotionnel du 11 septembre devient un tournant, un événement cataclysmique et totalement inattendu qui interrompt le cours de la vie quotidienne et modifie les relations entre les personnages. Les attaques ont joué le même rôle dans la vie des écrivains. In looking at the ur texts for each writer’s novel, it is clear that both Sukenick and Frey chose NOT to fictionalize the events of 9/11 itself, which were dramatic enough to need no embroidery. In their novels, Frey and Sukenick use their actual experiences of 9/11 in the same way: they displace them into a fictional structure, showing them as happening to fictional characters, and as having an impact on the novel’s plot structure. In each novel the physical and emotional impact of 9/11 serves as a turning point, a cataclysmic and totally unexpected event which interrupts the flow of everyday life and changes the relationships among the novels’ characters. This fictional use of the attacks plays the role that the attacks actually played in the lives of the writers. 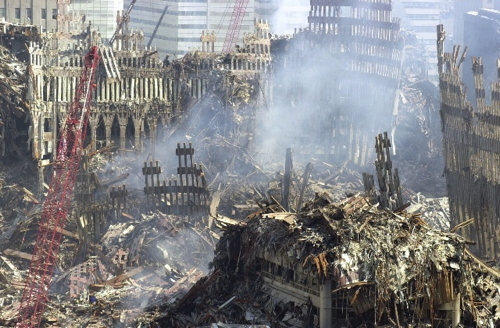 1The principal interest of what I wish to propose here is the comparison of two eye-witness accounts of the attacks on the Twin Towers, written by two people who lived together. My husband and I, both writers, experienced many of the events of 9/11 from our New York apartment, whose windows looked out on the World Trade Center, diagonally across the street. One document is my own diary, and the other is a page of notes, written by my late husband, the American novelist Ronald Sukenick. In conclusion, I will also quote a brief passage from Ronʼs novel, Last Fall, describing the same events presented in a fictional context. 3Like his close friends, the French novelists Serge Doubrovsky and Raymond Federman, Ron wrote what Doubrovsky calls “autofiction”. In most of his novels, Ron himself appears, usually as a character named Ronald Sukenick. Although he wrote mostly fiction, Ronʼs writing was always social criticism as well — ironic and and sometimes scathing commentaries on the world he lived in. Ron was very ambivalent about success. It made him nervous to think he might be selling out to the establishment he was criticizing. What he really wanted was to be a kind of outrageously unconventional enfant terrible, who could push the envelope of fiction beyond all previously suspected limits, and still be revered by the society he criticized. 4To a certain extent, Ron did get the recognition he craved: he won an American Book Award, a Fulbright and two Guggenheims, and was honored by the American Academy of Arts and Letters. But he was never what youʼd call popular. One year, doing taxes, he remarked that heʼd earned a total of $36 in book royalties. He complained that although heʼd published fourteen novels, he still had to struggle to find a publisher for each new manuscript. So Ron needed a ʻday jobʼ as he liked to call it. 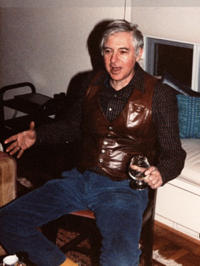 For most of his career, he was professor of American literature at the University of Colorado. By the time he died, in 2004, at age 72, Ron was considered an important postmodern novelist. His obituary in the New York Times was nearly half a page long. Itʼs a pity he never got to see it. 5 Ronʼs posthumous novel, Last Fall, published in 2005, was begun as a critique of the modern art scene in New York at the beginning of the 21st century. Like all his novels, it is a mixture of fictional and real events. What makes it of interest in the context of this publication is that he includes in it an account of his actual experience on September 11, 2001. He was in the midst of writing the novel that September. After our own trauma, escaping when the towers fell, Ron decided to change his novel-in-progress. September 11 became the pivotal event. The title became ‘Last Fall’. Serge Doubrovsky, you may recall, did a similar thing in his novel Le Livre Brisé, which won the Prix Médicis in 1989. When Doubrovskyʼs young wife died mysteriously as he was writing a novel about their marriage, he wrote her death into the novel. 6 Last Fall is 308 pages long. My own eye-witness account of the first thirty-six hours after the attacks on the Towers comes to 12 single-spaced pages, and my diary itself continues for 4 volumes until Ronʼs death. Luckily Ronʼs eye-witness notes are only one page long. In my presentation of these texts, I will limit myself hereto brief excerpts. However, Ronʼs notes and my complete diary are available in the collections of the September 11 Museum in Lower Manhattan. The original manuscript of Last Fall can be found in the Ronald Sukenick literary archives, in the Harry Ransom Center at the University of Texas at Austin. 7Now let me focus on whatI call Witnessing versus fiction. On Tuesday morning, September 11, Ron and I were at home in our apartment in Battery Park City, two blocks south of the World Trade Center. Our building, Liberty Court, is just in front of the World Trade Center Towers, slightly to the left side. Itʼs the tallest one, red and gray with a jagged roof. As you can see from this old postcard, it was potentially in a direct line to be crushed when the towers fell. Our building, Liberty Court, is the tallest building directly in front of the World Trade Towers, a little to the left, gray and red with a jagged roof. 8Below is Ronʼs page of notes, a non-chronological series of impressions which he wrote on September 13, 2001, two days after the attacks, but which I only found among his papers after his death. It provides an overview of the story everyone knows — the explosions, the iron beams of the towers melting from heat, their collapse, people running in the smoke and ash, fire engines crushed under the rubble. 10The reader has surely noted that Ronʼs handwriting is practically illegible. For the previous ten years, Ron, then 69 years old, had been suffering from an incurable muscle disorder called inclusion body myositis. It left him progressively weaker and immobilized his joints, finally confining him to a wheelchair, and ultimately causing his death. Although before September 11, Ron could still walk a little, using a cane, he had already begun dictating his novels, using voice transcription software which typed what he said into his computer. However after the attacks, Ronʼs need to record his thoughts was so intense that he somehow managed to write this page holding a pencil jammed between rigid fingers and his paralyzed thumb. I think it is significant that Ron never mentions in his notes nor in the subsequent novel that he was severely disabled and fatally ill at the time. 11 The second text is an excerpt from my diary, which I began to write, sitting in our apartment, at dawn, on Wednesday September 12, the morning after the attacks. At that point there were so many buildings burning around us that we thought our building might also catch fire and that we could still die in the aftermath. So I decided to make a record of everything that had happened. My goal was to create the most complete eye-witness account I could. I wanted to be able to testify to what happened, or in a worst-case scenario, to leave a written document for others to find. I didnʼt suspect, of course, that these would be the most reported events in history. 12 Since I must choose a brief passage, I have decided the most interesting part of my diary is not what has been told repeatedly, but what has not been reported elsewhere. So I will describe what it was like returning to our apartment on September 11, after the towers had fallen. We were finally evacuated from ground zero some 36 hours later. A month after that, we were allowed to returned to our home. 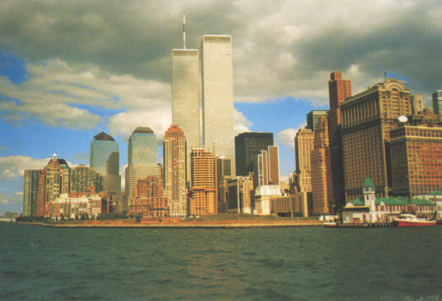 FIG 5: World Trade Center. Photo, Cameron Bloch, courtesy of Julia Frey his sister. Ron and I have come back here to the apartment, where we are all together, including our blind cat, waiting to see if things will get easier or if weʼll have to move. The building supervisor seems to think weʼll get electricity back in a day or so. He says the generator for the elevator is running and theyʼll take us downstairs before it gives out. Or they wonʼt. If not, weʼre stranded. Ron could never go down 26 flights of stairs on his backside. But at each stage we keep trying to cope. For now we think weʼve made our best decision, given the situation. It must have been about 3 pm when we got home yesterday. Weʼd been out in the chaos since 9:30 am — more than five hours. We were both surprised. Our sense of time was gone. When we came in, I immediately filled my bathtub with clean drinking water. Our clothes were thick with beige dust. We looked as if someone had dumped bags of flour on us. Blessedly there was still hot water in the pipes. I got into Ronʼs shower and washed off the grit. Then Ron got in with me and I washed his hair for him while he showered. Being able to wash the ashes off was a small thing compared to the magnitude of the events we have had to deal with, but somehow it made it more bearable. This isnʼt over, not by a long shot, but we felt more competent to deal with whatever might happen. Still, it is very frightening here. Outside Ronʼs study windows you couldnʼt see anything. Just black smoke. Ron was exhausted. “I just want to sit at my desk and try to calm down.” he said. All of lower Manhattan was now sealed off. We knew because weʼd turned on Ronʼs little portable radio, the only contact we still had with the world outside the building. It has always been a crummy radio, bad reception, lots of static; we had even discussed throwing it away. Lucky we didnʼt. Despite the uncontrolled inferno below us, we personally didnʼt seem to be in any immediate danger. We hovered by the window in Ronʼs study, watching the unbelievable scene: the blazing, smoking ruins, a few jagged walls still standing, their windows empty, the masses of collapsed beams chaotic as fallen trees from a hurricane. And over everything, a graceful blizzard of white paper, swirling in the sky, gliding across the street to land in the dust outside our building. All the notes, letters and documents from all those offices, floating down like huge snowflakes. Down below, hundreds of emergency workers had magically appeared from nowhere. They were struggling to control multiple blazes—not just the ruins of the towers, full, as we both knew, of thousands of crushed bodies. A block closer, other buildings were also burning out of control. The enormity of the catastrophe and the implicit domino effect of one burning, collapsing building setting the next one afire were apparent to us. By now there was no water, no electricity, no phone. The gas, somehow, was still on. I went through the rapidly warming refrigerator and found ingredients for supper. I set a table with linen napkins and crystal in the living room. Because our apartment goes around a corner, it was as if the apocalypse visible from our study windows had disappeared. The living room windows looked out on the Hudson river, at the sun setting on an absolutely clear New Jersey horizon. The stereotype of a romantic supper for two, lighting oil lamps when it got dark. After dinner, we gazed out at the complete darkness on our side of the river. Gradually, we noticed a few candles flickering in windows in other buildings, signaling that we were not the only ones who had stayed. Around nine we crashed. Ron says he slept like a stone, but I didnʼt. All night long, I kept slipping back into his study, peering into the flames and smoke with the field glasses, watching the firefighters trying endlessly to put out the blazes. They pumped streams of water from hook and ladder trucks in the street, from the windows of the Marriott Hotel, but the fires were impossible to control. As dawn was breaking this morning, they got the closest fires out. I was looking down at the intersection where the hotel doorman had put white tablecloths on the body parts yesterday. Now that intersection is flooded with water from the fire pumps. Abandoned, burned-out emergency vehicles are up to their tire-tops in water. All day theyʼve been hauling wreckage down the flooded street as they pull it out of the ruins. Somebody has strung an American flag on the top of a crane theyʼre using to lift the sections of fallen wall. 13The last text I want to present is from Ronʼs novel, Last Fall. I will allow myself to quote only a very brief passage, but I think it will show how Ron combines both our eye-witness accounts in his final novel. 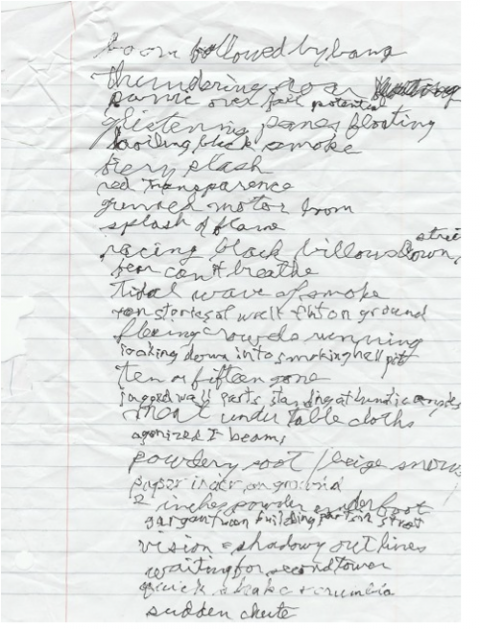 Phrases marked in boldface come directly from his page of manuscript notes written on 13/09/2001. 1 Published posthumously, 2005, FC2 - Fiction Collective 2, Birmingham Alabama. We held on to one another. 14Let me repeat that Ron and I lived through the entire experience side by side. Later we discussed it. It became increasingly a collective memory. But our intentions as writers were entirely different. Although he doesnʼt change any of the immediate facts, Ron, the novelist, polished his impressions as he re-worked his notes into the structure of a fiction. What is important to him is the style: an impressionistic stream of consciousness with virtually no punctuation, using poetic devices such as line breaks, repetitions, interior rhyme, to portray the narratorʼs emotional state. Above all, his writing is characterized by a striking ability to condense the actual experience and its emotional thrall into just a few words. 15In the first months after 9/11, I merely kept a diary. But with time, I also decided to write a novel based on my experience. Its plot has no relation to Ronʼs novel, but the turning point of my book is also a description of the attacks on the World Trade Center. And, like Ronʼs use of his notes in Last Fall, my account of that day is quoted nearly verbatim from my own diary. In each case, there was no need to fictionalize the events of 9/11 because the facts were dramatic enough by themselves. 16In our novels, Ron and I use our true life-experience in the same way: we do not change it, we merely displace it into a fictional structure, showing it as happening to fictional characters. Above all, it becomes essential to the plot. For months, perhaps years afterward, Ron and I were profoundly traumatized by that day. In our fictions, the attacks play the role they actually played in our lives. In each novel the physical and emotional impact of 9/11 serves as a turning point, a cataclysmic and totally unexpected event which interrupts the flow of the novel and changes the relationships among the novelsʼ characters. The intensity of this trauma no doubt provoked our desire to recreate the experience for people who were not there, even if we chose to use fiction as a vehicle.